A sweet contemporary romance reminiscent of the Parent Trap movies. Single parents raising eleven year old daughters must try to resist the ploys their children use to push them together as well as the growing attraction that sparks between them. Jesse’s body tingled when Lily laughed, as she did when anyone mentioned the afternoon game. He imagined a younger version of the woman across the table. Her blond ponytail would have been longer and tousled and her face smudged with dirt. Her brothers must have adored her. “You learned well,” Jaycee said before he could. 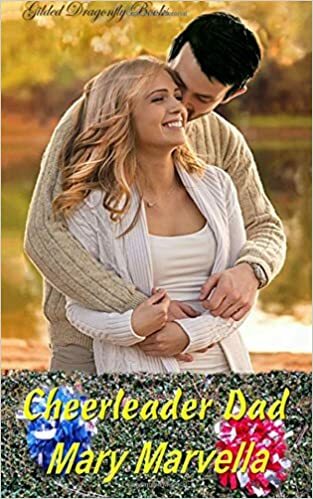 This entry was posted in Uncategorized and tagged Cheerleader Dad, Mary Marvella, Romantic Comedy, The Parent Trap, Tweens. Bookmark the permalink.